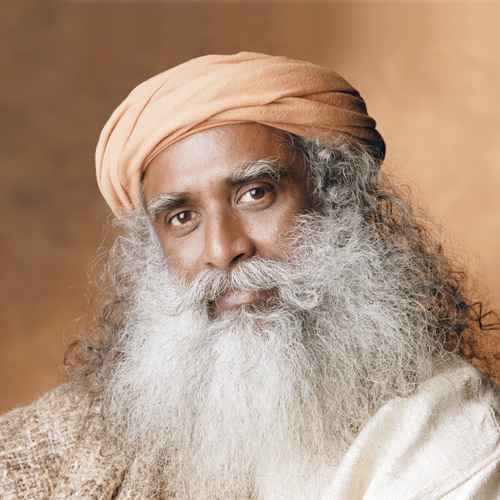 Ranked amongst the fifty most influential people in India, Sadhguru is a yogi, mystic, visionary and bestselling author. Sadhguru has been conferred the "Padma Vibhushan" by the Government of India in 2017, the highest amongst the annual civilian awards, accorded for exceptional and distinguished service. Probing and passionate, insightful, logical and unfailingly witty, Sadhguru's talks have earned him the reputation of a speaker and opinion-maker of renown. With his astute and incisive grasp of current issues and world affairs, as well as his unerringly scientific approach to the question of human well-being, he has been a primary speaker at the United Nations World Headquarters, a regular at the World Economic Forum, and a special invitee at the Australian Leadership Retreat, Indian Economic Summit and TED to name a few. He has also been invited to speak at leading educational institutions, including Oxford, Stanford, Harvard, Yale, Wharton and MIT among others. Sadhguru recently started a historic nationwide Rally for Rivers campaign for a comprehensive draft policy for revitalization of India's fast-depleting rivers. Sadhguru personally drove over 9300 kilometer covering 16 states and over 142 public events. The rally received bipartisan support across the political spectrum from all the state governments, the central government and people from all walks of life. With a celebratory engagement with life on all levels, Sadhguru's areas of active involvement encompass fields as diverse as architecture and visual design, poetry and painting, ecology and horticulture, sports, music and aviation. Three decades ago, Sadhguru founded Isha Foundation: a non-profit human-service organization, with human well-being as its core commitment, supported by over nine million volunteers in over 250 centers worldwide.